Some people (Priit) can play with stats forever. But for people less obsessed with numbers here’s couple of pointers that might help you get a better understanding of the value of your social media program. 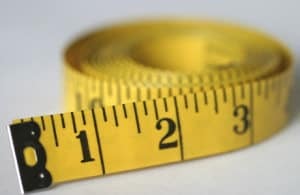 So What are the most important metrics to follow? In order to engage your fans more and more, brands create custom tabs on their fan pages. When you fans arrive on your page, they will see the custom tabs that you have created. Therefore, tracking the tab views is an important metric to figure out whether your fans are actually seeing your custom content. You can compare the number of people visiting your fan page with those who are viewing your custom tab content to get a clear picture. Facebook Insights shows you the sources from which people are liking your Facebook page. For example: Like box and button, Ticker, Search, From your Facebook page etc. One of the most important metrics to track your brand page’s performance is to track the degree of engagement from users. You know that users are visiting your fan page. But what you actually need to track is whether they are taking an action while viewing you custom content. If you have uploaded a product video, are your fans clicking to view it? So, engagement is the action that the visitor takes while going through your custom content. It’s great if you have a fan page for your brand. While using a Facebook page, however, you should make sure that it doesn’t prove to be a dead end for users. If your page is built in a way that engages fans and compels them to want to know more, you can increase the clickthrough rate to your website. A higher clickthrough rate indicates that users are interested to know more about your product. You can achieve social media marketing success, if you can get your fans to share your posted content. You can imagine the viral potential of getting your content shared through News Feed. That’s why content shares is one of the most useful metrics to measure the success of your Facebook page. ROI is about the R. Return. No return, no ROI or more precisely negative ROI (ROI = (return – investment) / investment.). One million Facebook fans won’t make any difference if you don’t know how to turn them into paying customers. I see a large number of Admin Invites in my Likes report but haven’t invited anyone (neither have the other Admins). Can you tell me what stats are included in that metric? I see them also, Christy. It seems that it’s a bug where FB doesn’t actually recognize the source. In one of our client’s case, the admin invites were actually likes coming from Facebook ads. Here’s to hoping that FB will fix it, ASAP.